Studio Microphone STC Type 4021C marked Standard Electric England 4012C and engraved with serial number 13162. 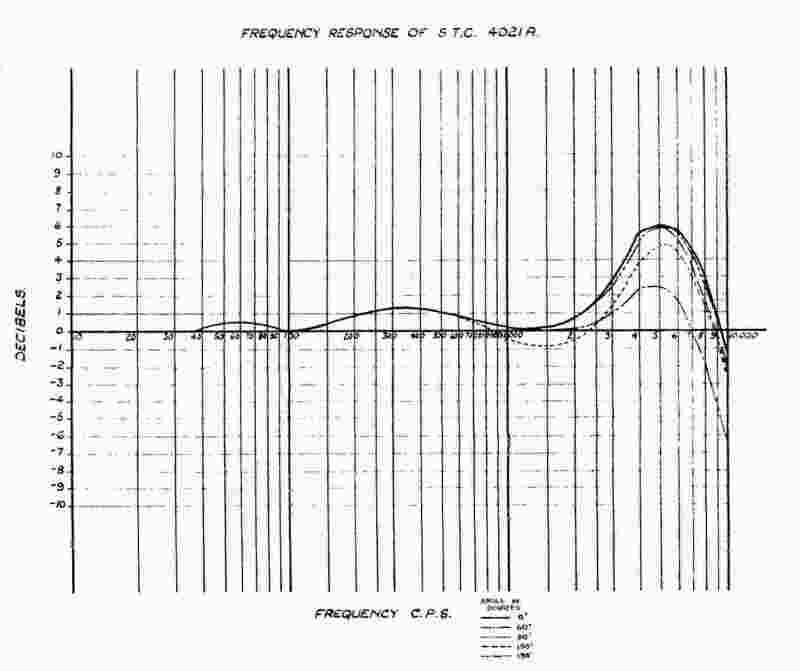 The perforated metal shroud and black cloth covering are missing.The frequency response curve of a similar STC 4012A microphone at various angles is shown below. 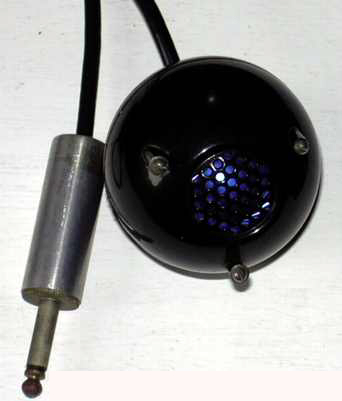 There were several variations of this omnidirectional moving coil microphone, some had a flat circular plate mounted in front (ball and biscuit) and others had a perforated shroud. Ted Arnold has one also marked Standard Electric, England, 4021C, which he says appears the same as the Western Electric type 630A.It also has a satin chrome connector unit/stand mount attached to the 3 prong wiring to accept common wiring, very unusual for sure. He says these are very rare to find, and his is in outstanding condition for almost 70 years old. Standard Telephones and Cables was the British subsidiary of Western Electric from 1925. Western Electric then became part of International Standard Electric of New York which in turn was a subsidiary of the International Telephone and Telegraph Corporation. These microphones marked Standard Electric England must have been made under license by STC sometime after 1935. They appear to be identical to the WE 630 which superseded the 618 in 1935.